These low rise briefs are made to last! Say goodbye to short lived easily ruined pairs that never fit quite right anyway and say hello to the durable and incredibly comfortable Ophelia Undies. 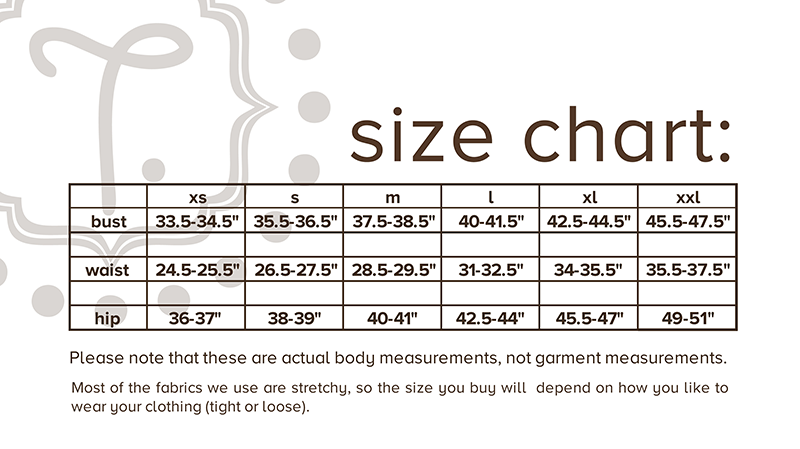 The exact measurements below are a guideline to help you towards the right size. Our Ophelia Undies are made from a stretch knit giving you the movement you want and are elastic lined to make sure they keep their shape. So whether you like your undies snug or a little loose, they will still stay put! Want to try just one pair to start? Check out our single Ophelia Undies!